Spent some time with part of the family where we had a pleasing trip apart from a few storms and some very heavy rainfalls. Overall though it was most enjoyable with two birthdays celebrated whilst away. 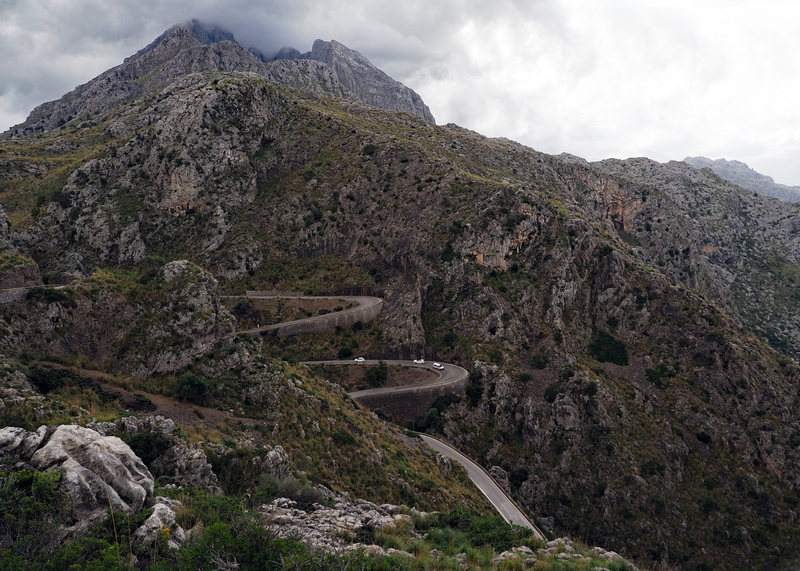 It seems various teams use Majorca for sports activities with the hills/roadways providing the conditions needed to improve strength and speed etc. This rollorski team was taken through the car windscreen as stopping was not possible. 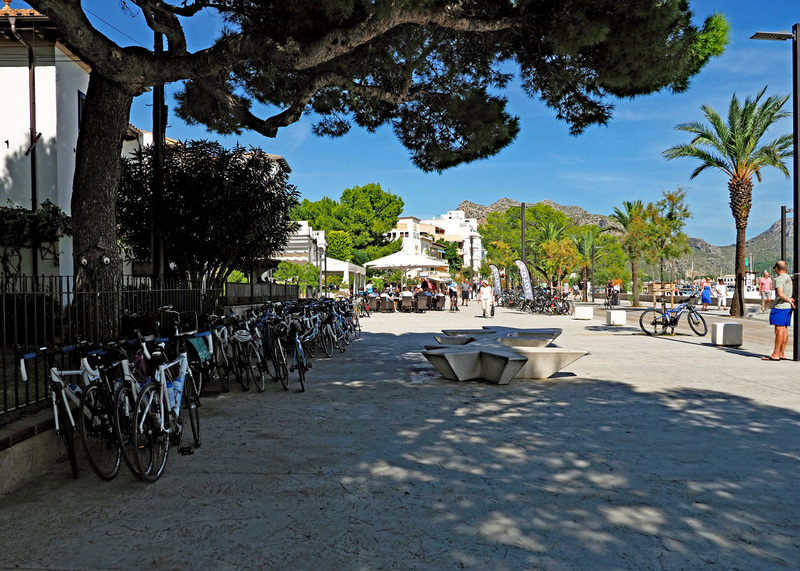 Tolo’s restaurant is one of the go-to places, if you’re a cyclist and are in Puerto Pollensa on the island of Majorca. Many of his regular guests include Tour De France, World and Olympic champion Sir Bradley Wiggins, who spends many months here training every year. 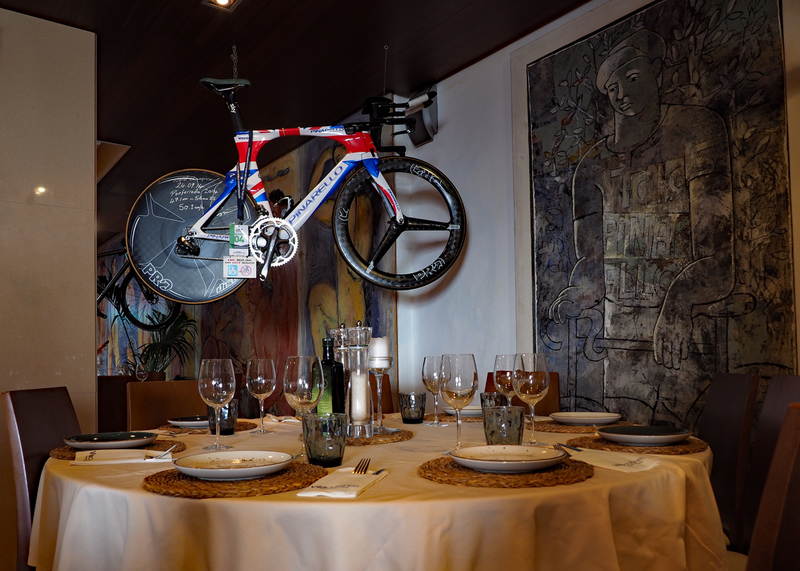 Bradley Wiggins 2014 championship bike hangs in pride of place. The first photo is fabulous, Barr1e. The young girl, makes it. 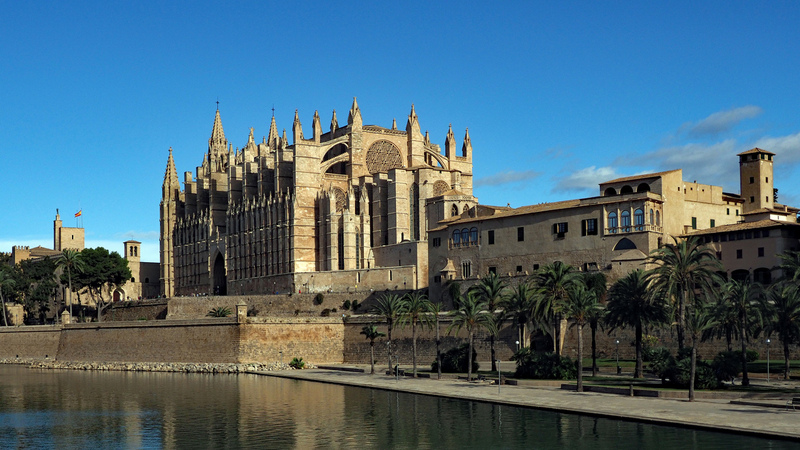 Mallorca is a lovely place for a holiday. Didn't know about Sir Bradley Wiggins, spending months there. But cant say I blame him. I would too, given the chance. Enjoyed seeing these. Looks like you had a good time there. 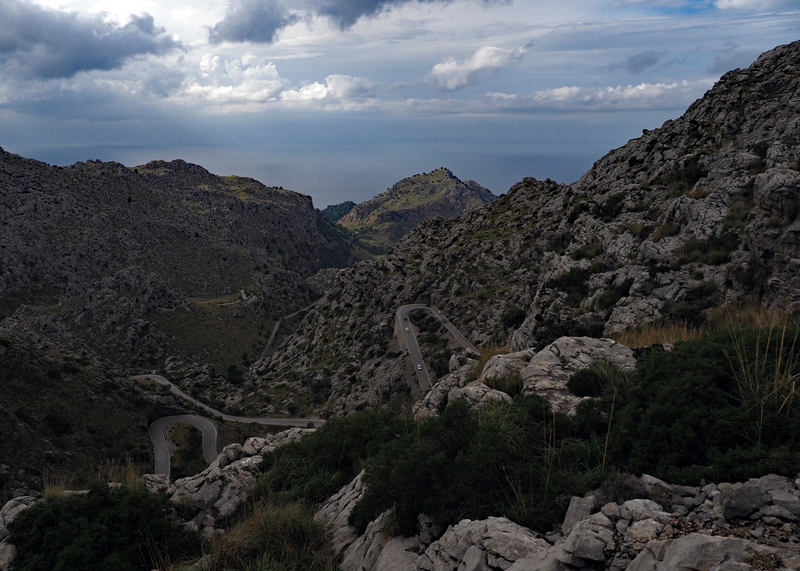 Our son-in-law enjoys his cycling and leads the board quite often with his club, hence our visit to Majorca. 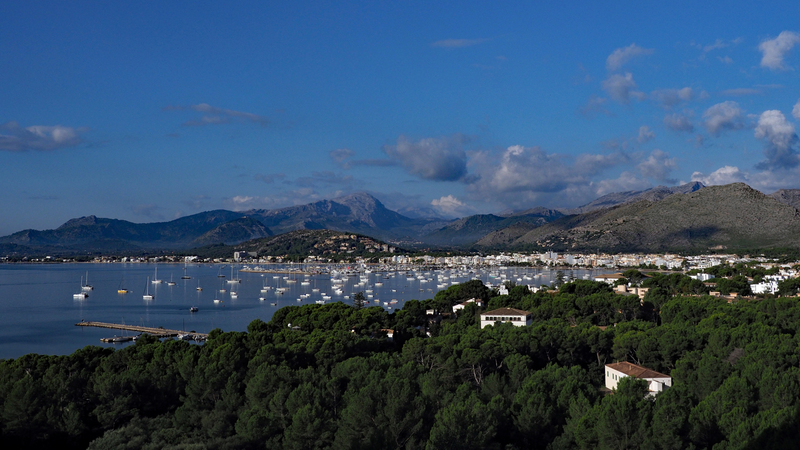 Just one more pic showing some bends to follow and a couple of Puerto Pollensa. One or two from Palma and a couple showing some shags and an egret feeding close to humans - in fact we got within a couple of metres of the shags - I think they have got quite used to people on the beaches. One of the many bends on the Island, amazing how they get you from A to B at such heights too. I can see why sports people enjoy the hills and for others looking at the stunning scenery on offer. Resort of Puerto Pollensa - Anne and I walked from our hotel a quarter way up the mountain (twice) to get the particular photo which best suited the overall view. 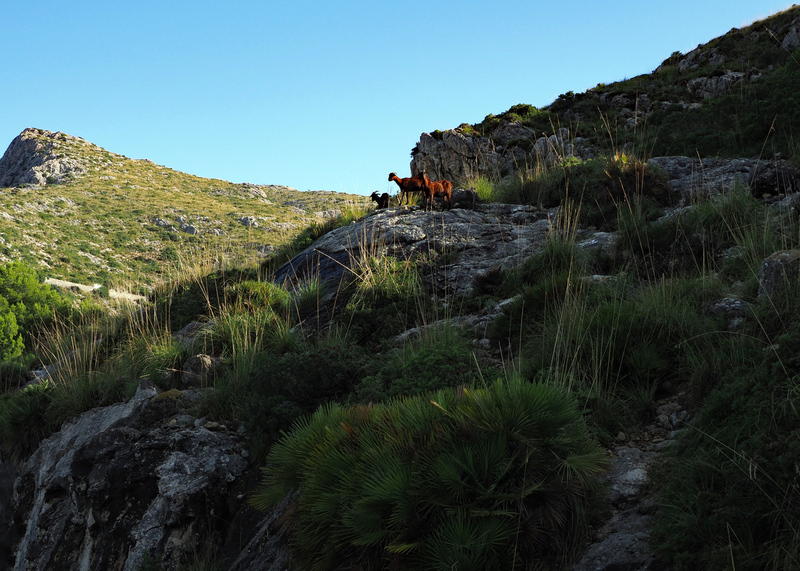 Walking down was much more comfortable and we were rewarded with some pix of the many mountain goats. 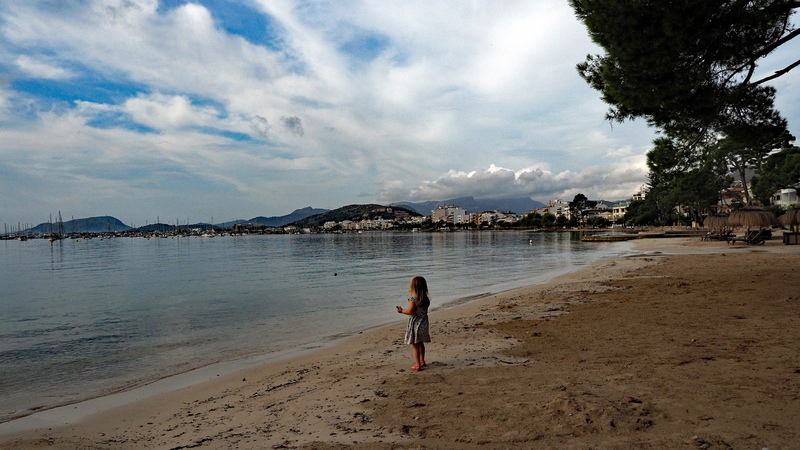 Not a part of Majorca that I have been to. But does look good. The roads look interesting there. The view from your and Anne's walk look super. Most roads today were completely under water - swamped I think after a deluge of rain fell from the skies - some folk didn't make connections with flights due to the downpours. Tomorrow the weather shows sunny and warm conditions. 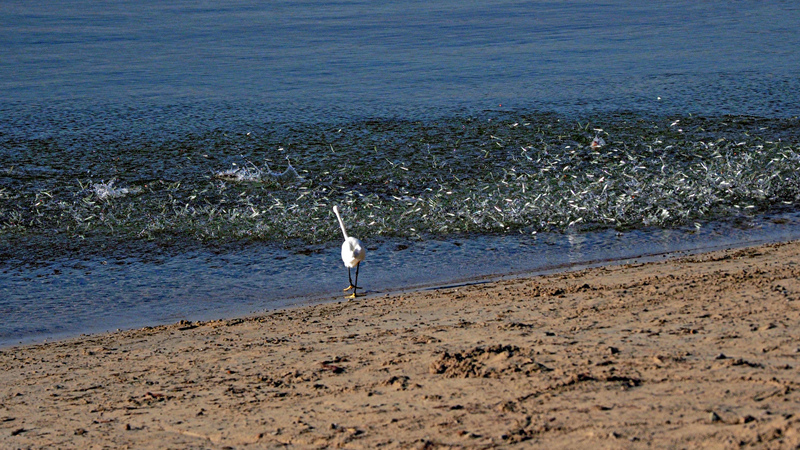 The egret was as surprised as the camera was - it didn't help the white balance I feel - pity I only shoot in j.peg! I have never seen so many small fish jump so high - lucky to capture the scene albeit not that perfect. The fish were more than likely jumping to avoid a larger predatory fish. I have seen the cathedral numerous times. I like the main entrance. Up in the Hills similar to a previous theme. Why ? I am enjoying seeing these, Barr1e. It is very quiet here as it is, and I am happy to see more photos.